Decrease inflammation, boost recovery, increase energy levels, and ignite athletic performance with state-of-the-art Whole Body Cryotherapy. Cryotherapy helps me immensely. It allows me to perform at my highest level in the cage. There's nothing that gets my body ready quite like cryotherapy. Cryotherapy is a vital part of my training. When I'm training hard for a fight, recovery is one of my top priorities, and there's nothing better than cryotherapy. Cryo Fit is Asia’s premier cryotherapy recovery center. 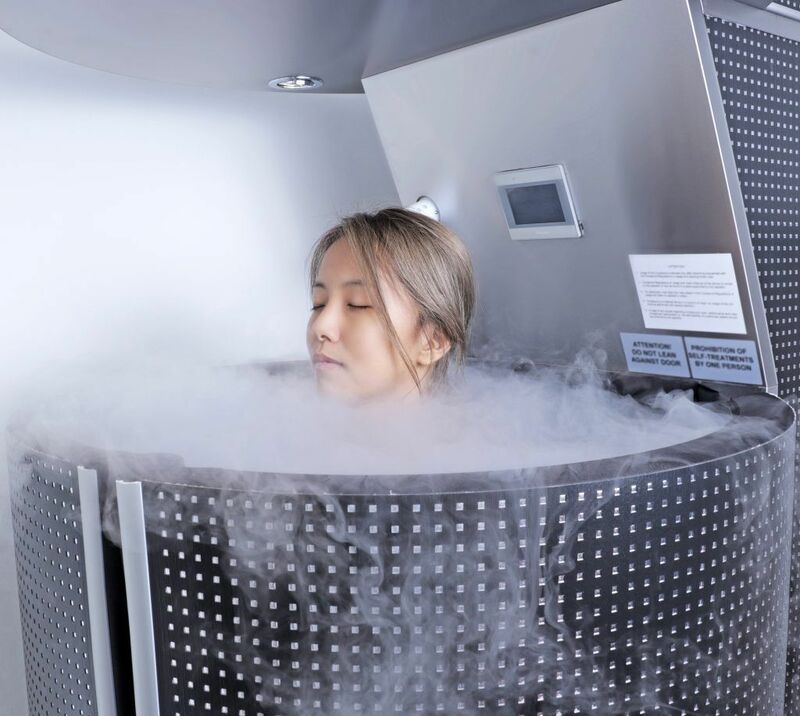 Utilizing the world’s most advanced cryosauna, Cryo Fit’s scientifically backed treatment and recovery solutions are used by Asia’s top professional athletes to optimize their physical performance. Cryo Fit’s Whole Body Cryotherapy uses the industry’s premier cryosauna to treat the body using temperatures as low as -150°C. The sub-zero temperatures trigger the body’s systemic response, clearing toxins from the blood and spreading nutrients, enzymes, and oxygenated blood throughout the body to help decrease inflammation, boost recovery, and ignite athletic performance. The -150°C temperature in the cryosauna stimulates your endocrine, immune, and sympathetic nervous systems via your skin's cold receptors. This stimulation tightens up your blood vessels and constricts peripheral tissues, transferring blood from your skin’s surface, muscle tissue, and surrounding joint space to your core. While the blood is traveling to the core, it passes through the cardiovascular system where it is cleansed of toxins and inflammatory properties. Once you exit the cryosauna, your body vasodilates, and the blood that has been supercharged with oxygen, nutrients, and enzymes performs a full systemic inflammation flush as it flows back through the body, stimulating the rate of tissue repair and triggering muscle regeneration as the body restores homeostasis. Over the next 48 hours, your body continues to rejuvenate itself. The increased level of anti-inflammatory hormones in your body reduces inflammation while the additional enzymes, nutrients, and red blood cells reduce pain, boost energy levels, and speed up recovery, enhancing athletic performance. Cryo Fit is located in the heart of Singapore inside of Evolve MMA (Far East Square). Get started on your journey to your optimal physical well-being. Come in for your first session today! To speak to a Wellness Officer, please call 6443 2464. To book your first session, please fill out the form below. We will review your message and endeavor to reply as soon as possible.